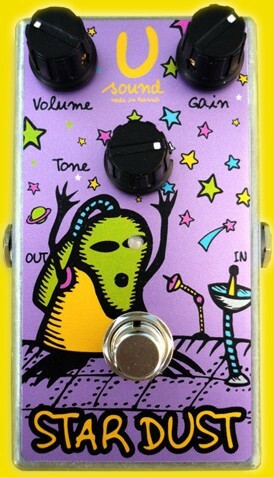 Stardust is a classic distortion with combined diode and LED clipping signal. Due to this and other original schematic solutions this pedal can be used in a variety of styles - from blues to heavy metal. Even with energetic playing chords sound does not turn to mush. With such an energetic and explosive sound you make the heart beat in time with your riffs. 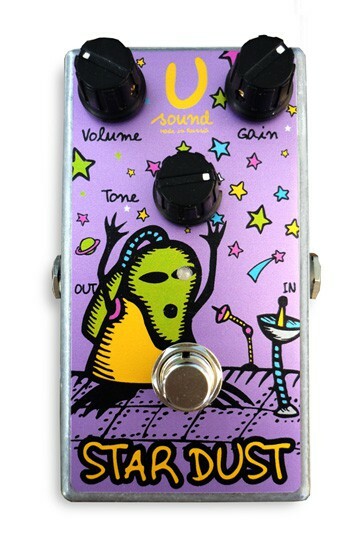 As with all pedals U-Sound, Stardust is hand built and using only high quality components. The pedal gets powered by either a 9V battery or a stabilized adapter 9-15 volt.